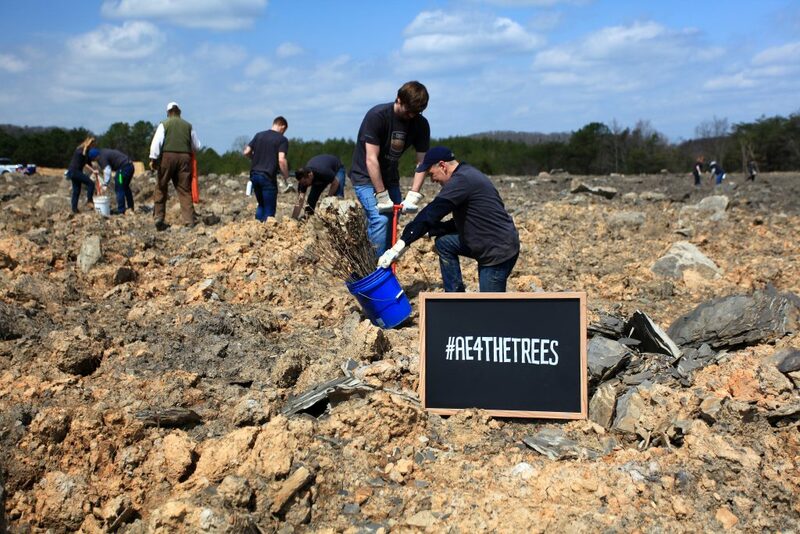 For the fourth spring since our Toast the Trees program began, the Angel’s Envy team descended on the hills of Kentucky to reclaim a patch of forest from land previously given over to strip mining. 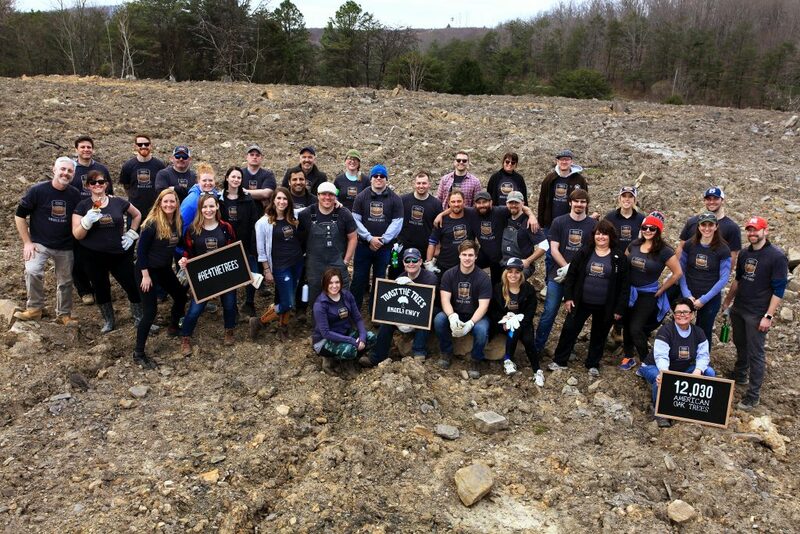 Early Tuesday the 10th of April, nearly 40 Angel’s Envy team members, along with the Green Forests Works and members of the Arbor Day Foundation, came together to plant the first 3,000 of our pledged 12,030 white oak trees. The work will continue as we return to our distilling, but it was still a massive undertaking that we were proud to do, all thanks to the photos you shared in September. When we began our Toast the Trees program in 2014, our goal was to help secure the future for the next generations of bourbon fans. Our industry requires a great many new oak barrels, and we want to be sure we’re always giving back. 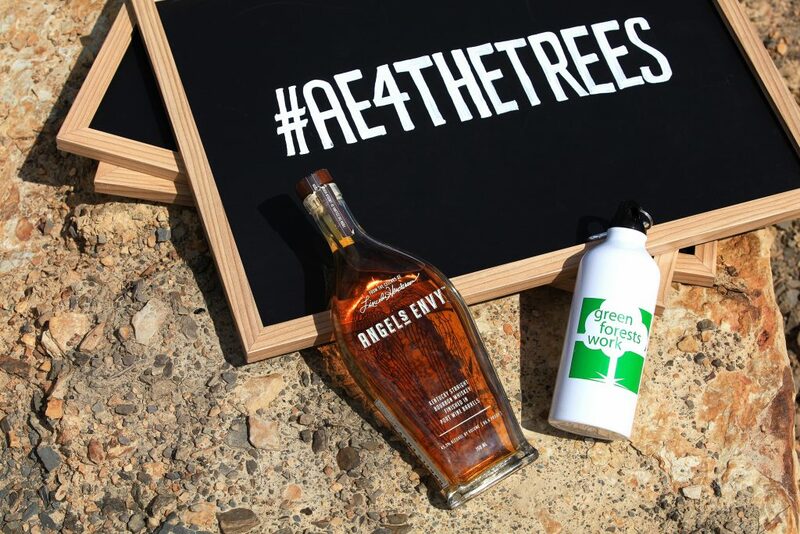 In honor of National Bourbon Heritage Month each September, we pledge to plant a white oak tree for every Angel’s Envy bottle or drink you post—neat, on-the-rocks or cocktail— with the hashtag #AE4THETREES. Then, we work with partners like The Arbor Day Foundation and Green Forests Works to make sure your tree gets planted during the following spring. And your photos and hashtags have helped. 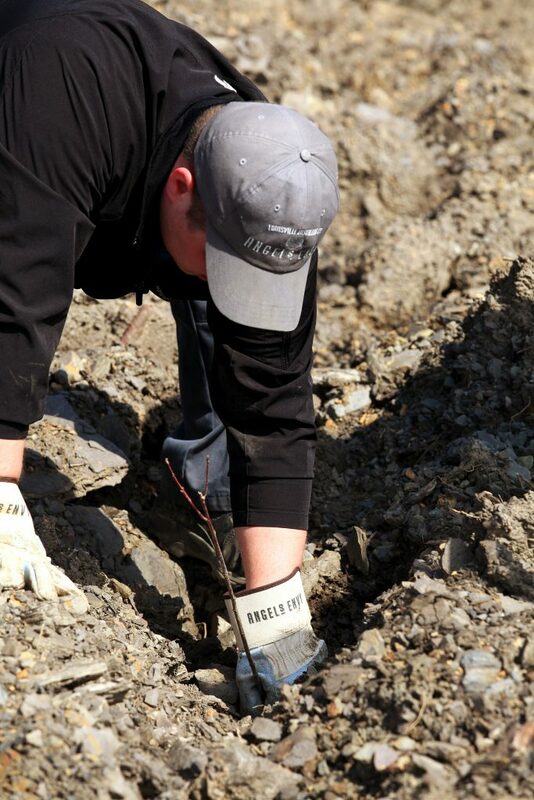 Our four-year total will be 24,032 oak trees in total planted. The number of photos you shared in 2017 was greater than the total of the previous three years combined: 12,030 versus 12,002. We appreciate all of your support, creativity and enthusiasm over these past four years, and we can’t wait to see how many trees you help us plant this coming September. Thank you for helping us ensure bourbon’s future and bring life back to the hills of Kentucky.